See more objects with the tag metal, shelves, functional, minimal. 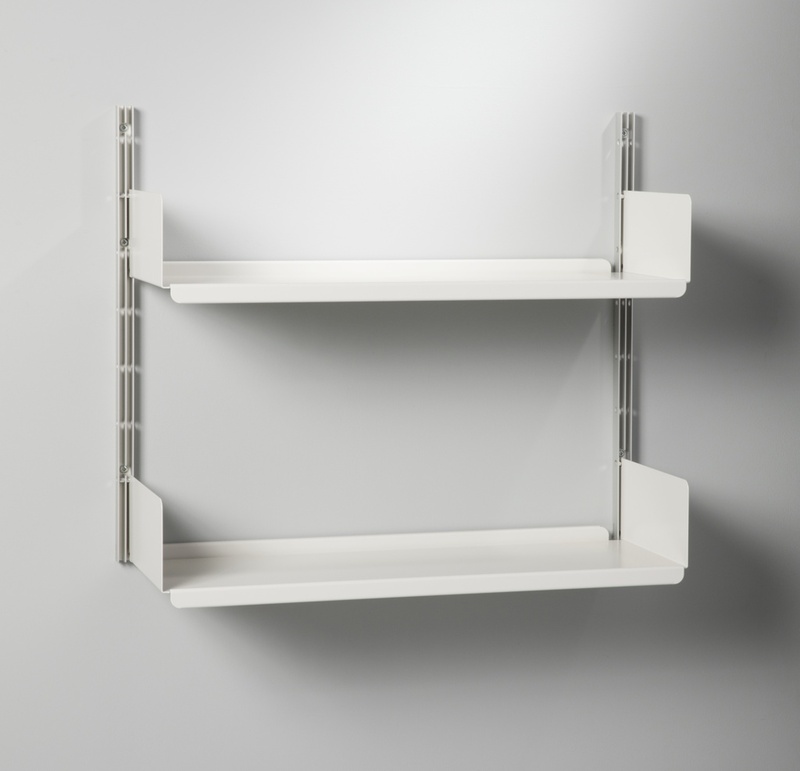 This is a Universal Shelving System. It was manufactured by Vitsoe. It is dated 1960. Its medium is extruded aluminum, powder-coated steel. Designed for customization as well as longevity, Rams’s 606 Universal Shelving System operates with a simple, lightweight system of tracks and shelves that can accommodate the needs of any space and consumer. 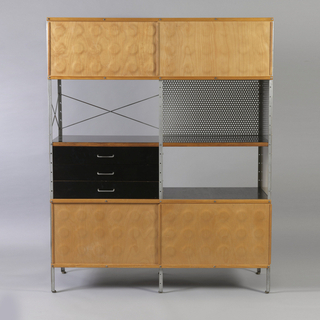 In addition to basic shelving, Rams designed a whole range of compatible and coordinating elements including cabinets with sliding doors, desk and table modules, and LP racks and holders for Braun stereo system components. 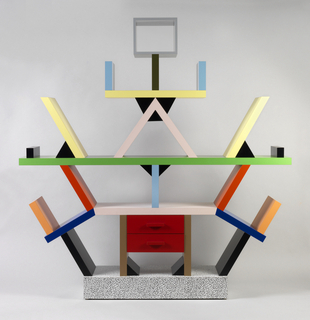 By 1980 the Vitsœ catalogue listed more than 150 different configurations for the system. 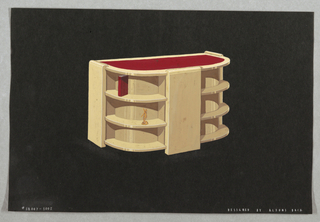 This object was donated by Vitsoe. 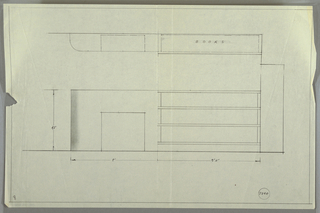 It is credited Courtesy of Vitsoe.